A record-breaking number of fans flocked to the Stadium of Light to watch the Black Cats take on Bradford City. A huge 46,039 Sunderland fans were present at the Boxing Day clash - a record attendance for League One - and were rewarded with a 31st-minute goal by Aiden McGeady as SAFC picked up three points at home. See if you recognise any familiar faces in the crowd as we share some of our best fan pictures from the day. 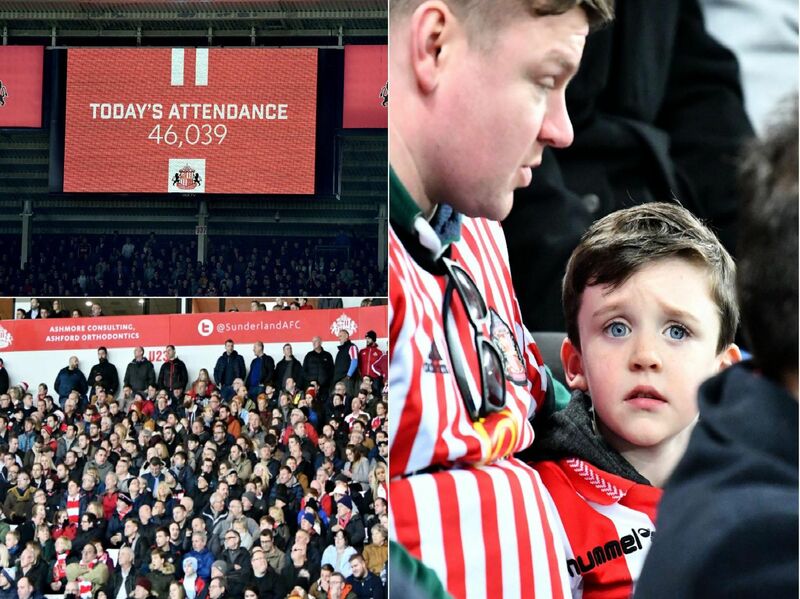 More than 46,000 Sunderland fans watched their team win at the Stadium of Light on Boxing Day. One fan is on the ball as Sunderland take on Bradford City at home. Sunderland's executive director Charlie Methven announced the record-breaking crowd at half time at the Stadium of Light. The previous League One record was set by Leeds United in 2008, where 38,256 fans watched them play.